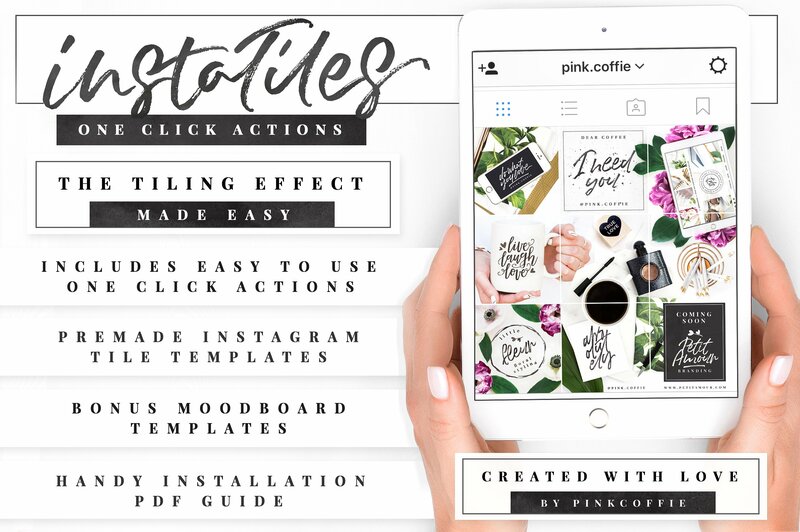 A quick & easy, no-brainer Photoshop action set that will make your Instagram look fabulously tiled with one click! 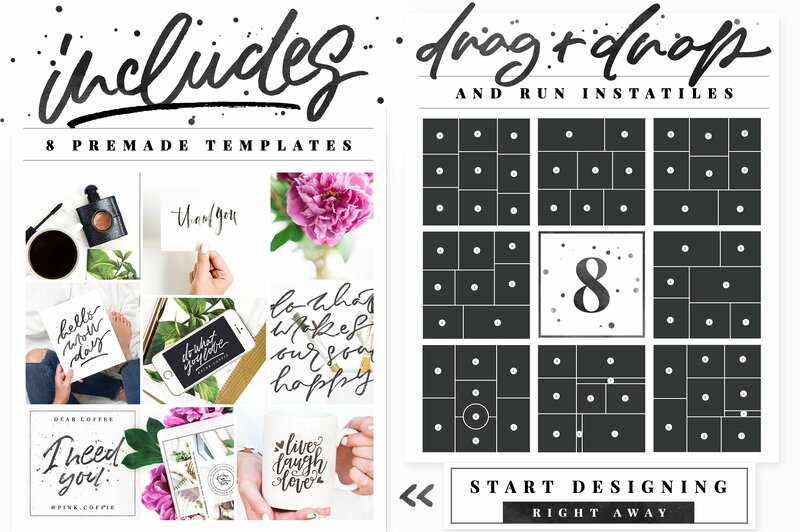 If you plan your 9 grid feed ahead of time and love getting creative & experimenting with multiple overlapping images, text and content that looks like one big, gorgeous image in the end, but you absolutely can’t stand the slicing part or uploading to external apps to do that for you – well there is no need to do that anymore, because InstaTiles will do all the hard work for you. 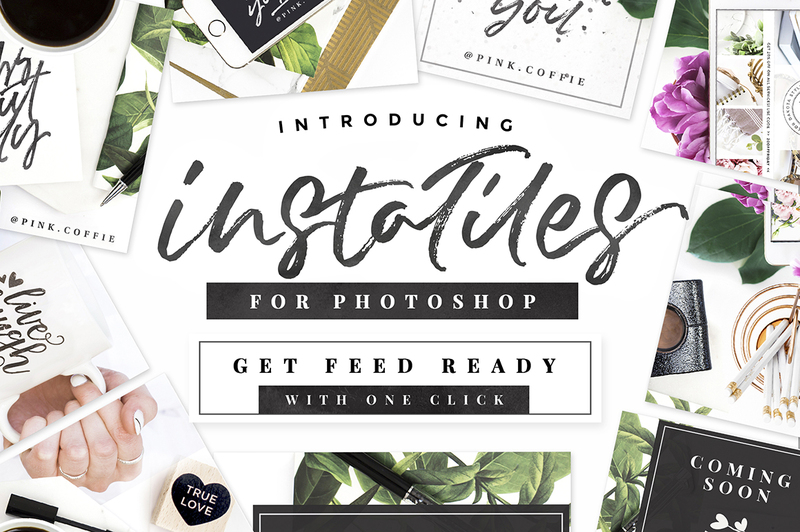 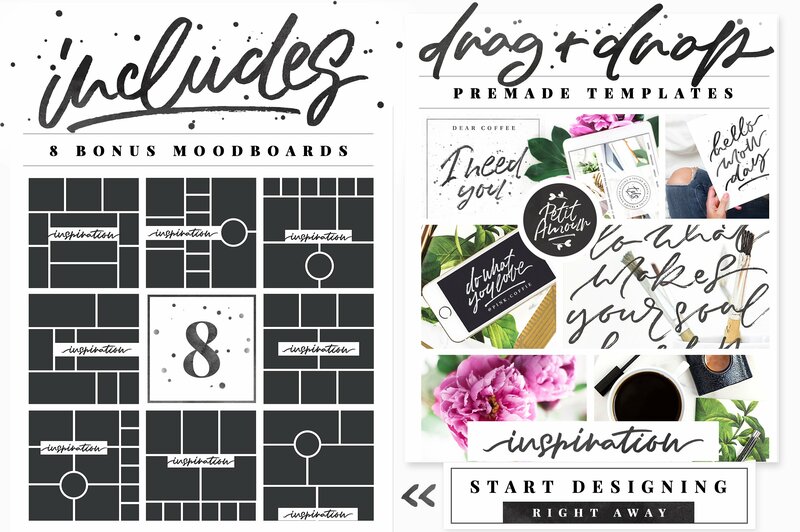 All you have to do is insert your stock photos into the premade 3 x 3 boards or design your content using the various sized blank templates and run InstaTiles – & – with one click, you are all set and ready to post the 9 images to Instagram.